JR is dead, long live JR. Larry Hagman, the long-time Dallas star who became one of American television’s most revered personalities, has passed away. Hagman came to prominence playing Barbara Eden’s “master” and eventual love interest in the long-running sitcom, I Dream of Jeannie, which ran for 5 seasons between 1965 and 1970. Hagman had, prior to Jeannie, appeared in a number of guest starring roles on a variety of television shows, but it was as the lead in Jeannie where he really rose to fame. 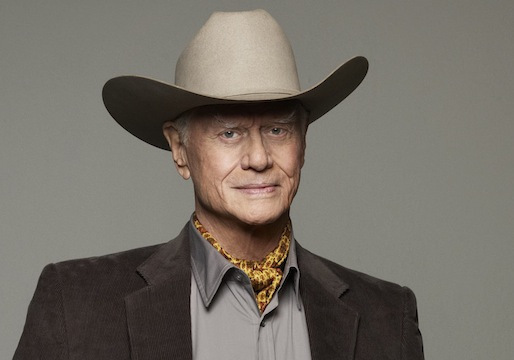 Following the end of Jeannie, Hagman’s next major role would be that of the vile JR Ewing on CBS’s new dramatic series, Dallas. He became the man America loved to hate, the Monty Burns of the show, if you will; Hagman’s star rose even further when, during the cliffhanger episode at the end of the second season, JR was shot by a mystery gunman, posing one of television’s greatest ever questions: “who shot JR?”. JR survived the shooting, and would go on to give Dallas enormous ratings success. By the end of the shows 13 seasons, Hagman would be the only actor to appear in all 200+ episodes. Only recently, TNT revived Dallas and asked Hagman to appear, reprising his character and once more bringing himself into the spotlight. Of his film career, it must be said that Larry Hagman did not have the same success – bit roles in films such as Mother, Jugs And Speed, Superman, Primary Colors and Nixon failed to grant him a cinematic oeuvre of note, but it must be said that he made his mark in television more than most others ever could. Hagman, 81, was diagnosed with throat cancer in 2011, and he passed away on November 23rd, in Dallas, Texas. Sad loss, he will be missed.